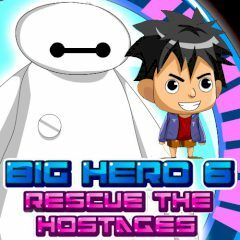 You are welcome to the really strange world, where you will play as a Baymaxa and Tadashi. So, invite your bests and play this game all together! Try to avoid all the obstacles and you will have so much fun. Enjoy it right now. Wow! This is amazing! Cause this time you will meet here two main characters, who decided to deal with the challenges set before them a lot. Well, it is not as simple as it might seem. That is why, you will have therefore had to focus and work well with his buddy. Just decide who will take the Baymaxa role and who will lead Tadashi to the goal! Two player cooperation will make you have a chance to spend some time together in a creative way and be sure that this game will bring you so much pleasure!